A shift in consciousness: the problem is the solution. Thank you Bill! Last year I was in Jordan working on the Greening The Desert site when I heard the news about Bill Mollison’s passing and now, again, I’m here in Jordan at the same time of the year. 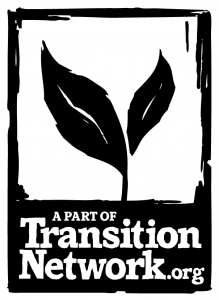 This site was visited by Bill and Lisa (the last country he visited in his life) during the 10th Permaculture International Convergence in 2011. I have the greatest respect for Lisa as a personality of strength and integrity, with incredible dogged persistence, a quality Bill consistently insisted we (all) need to develop. Lisa was alway there for Bill in support in every way, as a great organizer, business manager, and passionate organic health carer. Anyone who knew Bill well would understand what a difficult, complicated and constant task Lisa had, keeping things together for such a radical and wild personality. All of this she achieved at the backstage of someone who was always a performer in the spotlight (Bill). I consider Lisa my closest Permaculture sister, who has also shown me great kindness. So, in the second week of the one month practical Internship, I bring you this Friday Five anniversary, commemoration, remembrance, celebration of Bill’s passing or, as they say in India, his Barsy. There’s so much out there of, by and about Bill and his work that I’ll let Bill, his admirers, and students (of whom I’m one) do the talking. Bill’s PDCs: For background into how the PDCs came about, “Yes…it was an epiphany…and as I was an academic at the time, I sat down and wrote out a curriculum…and it became the Permaculture Designers’ Manual.” “…in 1972…in Toronto…we knew there was a lot wrong, but we didn’t have the army that would be needed to change it…[so] one job, to train the army…and I felt that very keenly, so…I’ve done that for [well over] 20 to 30 years…I asked all my students to teach, in their own language, their own culture…”. Here’s Part II of that interview by Frank Aragona (2007), Agricultural Innovations podcast. The famous ‘Pamphlet Series’ contains gems of gold, an edited transcript of the Permaculture Design Course run by Bill at The Rural Education Center, 1981 transcribed and edited by Barking Frogs Permaculture. At 82 years of age, Bill co-taught a PDC in Melbourne, Australia and then another one in Istanbul, Turkey, both in 2010. Then, in Amman, Jordan, 2011, Bill was guest speaker for this wonderful pre-IPC PDC. and Global Gardener 4 – Urban – including the ever thriving ‘Village Homes’ in Davis, California, USA, designed by Michael Corbett. Interviews with Bill: There are too many to list but…there are some special ones here. 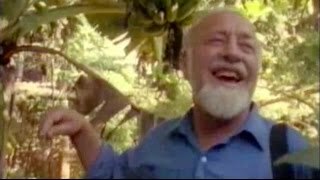 Australian Biography: Bill Mollison by Robin Hughes, filmed 2002, and aired on Australia’s multi-cultural SBS TV, Feb 2009. A Couple of Rough Types Bill ‘n me, 2010, a lovely, funny interview. “Nature presents accidental things…and you think, ‘Oh!…why didn’t I plan that?’ I did it the other day…”. From UK’s vegan-Permaculture teacher Graham Burnett of Spiralseed. Gardening Australia’s beloved, Manchester-accented Peter Cundall talks of early days in Tasmania before ‘Permaculture’, “…a lot of people don’t realise he was also an initiator of…organic farming and gardening movement here…”. The Guardian, He held that “although the problems of the world are increasingly complex, the solutions remain embarrassingly simple”, by Matt Dunwell. Last but not least! Bill Mollison’s Whale Story, a true story from his childhood. These posts are just some of thousands, catalogued by subject matter with several new articles going up weekly. That’s it for this special ‘Bill’s Barsy’ Friday Five. You’re welcome, of course, to forward it to a friend, anyone can sign up for the next edition. Even though I rarely get a chance to reply, your comments and thoughts are valued, positive or negative! Please leave your comment on this week ‘s Friday Five here.